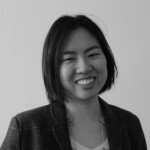 Janet Eom is the Research Manager at the China-Africa Research Initiative (CARI) at the Johns Hopkins University School of Advanced International Studies (SAIS). Previously, she researched Chinese activity in Africa at the Carnegie-Tsinghua Center for Global Policy in Beijing. She has worked on China-Africa issues in the Strategy and Policy Unit of the Office of the President in Rwanda and conducted field research on the role of Chinese business and investment in Rwandan development. Her writing has been published in Foreign Policy, Forbes, and Caixin. She studied Mandarin at Peking University and holds a bachelor’s degree in Social Studies from Harvard University. Young China Watchers (YCW): Over the years, you have specialized in China-Africa relations, and especially Chinese economic activity in Africa. What triggered your initial interest in “China in Africa”? Janet Eom (JE): I’ve always been interested in poverty reduction and economic development. As a kid, I found myself wondering why my neighbors were struggling with obesity while others abroad were dying from malnutrition. I wanted to learn how to fix the disparities. In college, I became interested in Rwanda: Its parliament is 64% women; its corruption rate is the fourth-lowest in Africa; and it ranks second in ease of doing business in sub-Saharan Africa. Demographically, Africa is a very young continent of some of the fastest growing economies in the world. We shouldn’t generalize, but I think there is real positivity, entrepreneurship, and dynamism across the continent. In Africa, I discovered China. I met policymakers in Rwanda who were learning how to engage with China productively. What did China offer that was synergistic with their own initiatives for growth? In a place that is landlocked, devoid of natural resources, and geographically small, what are the Chinese doing? China’s rapid rise has given way to changing notions of what it means to “develop.” We now see new global partnerships. The China-Africa relationship forces me to reassess what I know about “the right way to do things” in developing countries. That’s why I continue engaging with it. YCW: Your insight is shaped by your experience working on the ground in Rwanda. How differentiated is China’s approach to the variety of countries, peoples, and culture in Africa, with regards to its investments and partnerships? JE: You’re right to acknowledge the heterogeneity. All 54 African countries have unique stories. China has its own impressive geographical, cultural, and linguistic diversity. Therefore, when China goes to Africa, local circumstances matter. In fact, certain Chinese provinces specialize in certain kinds of work in Africa. The Gaza-Hubei Friendship Farm was created when grain-producing Hubei province signed an agreement with Mozambique’s Gaza province, leading to several agricultural projects. The Ogun-Guangdong Free Trade Zone in Igbesa, Nigeria, began as a partnership between Guangdong province and Nigeria’s Ogun state government. It’s a common mistake to put too much emphasis on a singular, mammoth “China” making all the decisions. Likewise, African governments vary in how much they want to engage with China and how much they want to hold China accountable to local development agendas. This influences how China acts in that particular country. For example, the Ethiopian government has been strongly committed to manufacturing partnerships and technology transfer. This has led to projects such as the Huajian shoe factory outside Addis Ababa. Now, actors on both sides are trying to replicate the successes of this Chinese factory in neighboring African countries. In addition, China’s involvement in Africa can influence domestic politics. Back in 2006, former Zambian president Michael Sata ran his presidential race on a platform that referred to Chinese investors as exploitative “infestors.” China’s approach and the African response will certainly vary depending on the context. YCW: With your colleagues at CARI, you recently published a policy brief on Chinese financing of African development projects. What are the main takeaways, and what are the research obstacles when it comes to data accessibility and reliability? e) Chinese loans do not disproportionately go to resource-rich, poorly governed countries. For example, we found that the top sector financed by Chinese loans is transportation (roads, railways, airports, and harbors), not oil or mining. The top recipient of Chinese loans was Angola, a resource-rich country, followed by Ethiopia, a resource-poor country. One research obstacle is a dearth of information: Neither Chinese policy banks nor African recipients regularly publish figures on financing agreements. Ironically, another obstacle is inaccurate information—rumored projects find their way into media stories, which snowball into exaggerations and half-truths. We spent hundreds of hours analyzing the available data, using Chinese, French, Portuguese, and Arabic language skills as well as rigorous cross-checking. Our sources ranged from official ministries of finance to our own contacts in China and Africa. Often, we look for a photo of the project as proof. You would be amazed at the number of announced projects that never happen, but distort the numbers when counted as complete. YCW: Western media often suggests China’s economic approach to African countries only benefits the Chinese side—contrasting the narrative of Western forms of development aid. What are your overall observations on the benefits of China’s engagement for African development? JE: One benefit of China in Africa is that African countries get more choice in terms of who to engage with. When a country wants to build a massive railway, it may choose to work with the Chinese for any number of reasons, such as speed of construction or pricing of the project. Or maybe China’s “non-interference” policy is attractive to countries that want the agency to keep governing in ways Western partners would frown upon. However, the non-interference policy is changing—China has been contributing to peacekeeping in places like South Sudan, where security situations are impacting economic decisions. Sustainability is important. For one, there could be stronger corporate social responsibility mechanisms on both sides. China has its own policies, but many companies that go to Africa find that such policies are not relevant on-the-ground where local governance matters more. Chinese companies easily become complicit in what the African environment condones. If there is a lot of corruption in a country, companies are more likely to engage in corrupt practices. If there aren’t concrete regulations against environmental degradation, companies are more likely to operate unsustainably. Even when there are local laws, Chinese companies don’t always understand them. Therefore, effective communication is important as both China and African countries build regulations. Also, I think there is a lot of untapped potential in technology transfer. A Chinese plastics factory or rice farm may be productive now, but these projects should create an effective transfer of knowledge to local workers. This is what I mean by sustainability: It’s not just about the immediateness of Chinese engagement in Africa, but also the long-term effects of every commitment. YCW: The success of CARI reflects a strong and growing interest in China-Africa relations. What components of this area are still misunderstood and might deserve more attention from the YCW community going forward? JE: Although many of us focus on government exchanges, we shouldn’t underestimate the importance of people-to-people relations. Because cultural and linguistic barriers between Chinese and Africans can lead to misunderstandings, resources need to be dedicated to cultivating personal associations. One interesting solution is to support more cultural and educational exchanges. As I said before, Africa is a young continent, and I think student-to-student interactions hold great potential. What do African students returning from studying in China do when they return to their home countries? Some may work as translators for Chinese companies, but others may bring their China experience into another industry that previously had little understanding of Chinese culture. And can more Chinese students go to African countries for longer periods of time? Given that many projects consist of daily interactions, whether between managers or general laborers, having more Chinese actors with an understanding of the local culture and language will be important. There will always be challenges, but closer and more frequent contact between individuals can help ensure that the China-Africa relationship is a committed one. Even as public interest in China-Africa grows, the nature of the relationship changes, often overnight. For example, from 2004, China-Africa trade had been growing steadily for nearly a decade, but there was a sharp dive in 2015, a tough year for China. African exporters of natural resources were especially hard hit. The drop in commodity prices meant that the value of African exports also fell. Any China-Africa practitioner should be willing to quickly adapt to changing global circumstances; some aspects may be predictable, but few are set in stone. This is what’s really exciting about the China-Africa relationship—because it’s at the very center of a lot of global upheavals as well as opportunities, new possibilities for shaping the engagement are going to continue to emerge for some time to come.